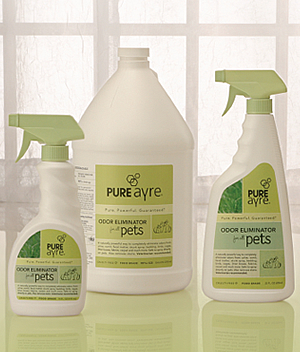 See us soon and experience for yourself the odor-busting power of PureAyre. Join the fun at this dog-friendly community fair on the spectacular waterfront in downtown Gig Harbor. Enjoy live entertainment and partake in delicious food at the many food booths. Contests for best tricks, best kisser, best dressed, best tail wager, and more, prizes, dog walking, dog-lover’s product and services, and more – fun for all! Walk your hound over to the PureAyre booth to see our astonishing demo made famous on the Shark Tank TV show. Plus, at Harbor Hounds receive a PureAyre gift with your purchase of any PureAyre product! Walk or run with your dog(s) to raise money for the Auburn Valley Humane Society. Barkfest - the place this summer for tail-wagging good time! We look forward to meeting you and your dog(s) soon at Everett’s Mutt Strut or Auburn’s Barkfest and Rover Romp. moments BEFORE entering the Shark Tank!